Last week marked my semi-annual pilgrimage to South Florida to spend one last week in the sun and soak up the rich baseball culture in the area. A favorite destination of mine is the baseball academy of ten-year major league veteran Paul Casanova, who delivers his instruction in the backyard of his house. 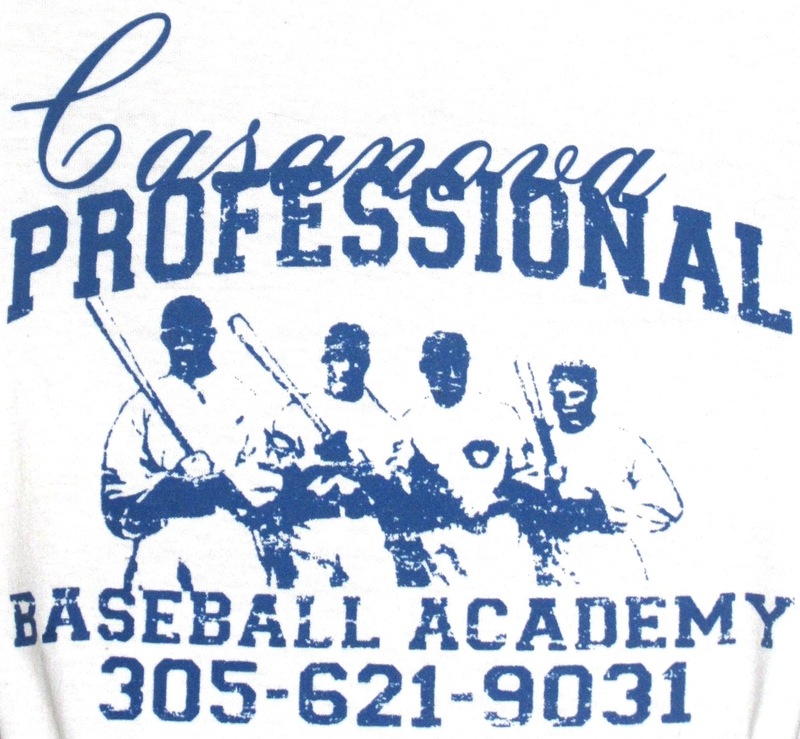 I previously wrote about my 2010 visit, and every time I return, I pick up something new, whether it is an adjustment on my swing, an anecdote from his playing day, or meeting the next up-and-coming prospect out of the Hialeah area. His students praise his ability to instruct and build their confidence, using his watchful eye from his over fifty years of professional baseball experience to keep their swings on-track. His home also serves as a mini Hall of Fame of Cuban baseball history, the walls lined with photos of his Cuban contemporaries in the major leagues, as well as the legendary winter league teams prior to Fidel Castro closing off the league to professionals in 1961. One one wall facing the batting cage, he pays tribute two of the biggest baseball legends he was associated with during his career, Hank Aaron and Ted Williams. Casanova spent three seasons with Aaron on the Atlanta Braves from 1972-74, and was one of the first teammates to greet Aaron as he crossed the plate for his 715th home run. He refers to Aaron as, "the best," and often references Aaron's strong wrists when instructing the young hitters. Displayed on the wall are photos and articles on the wall about his Hall of Fame teammate. The other side of the wall is dedicated to his manager Ted Williams, whom he played three seasons for as a member of the Washington Senators. His face lights up when speaking about the Splendid Splinter and how enamored he was with him. He felt very fortunate to visit Williams at his home shortly before he passed away. He proudly displays the photo of him with Williams on the wall of his facility. Everything about the facility screams baseball, from the bats outside of the house, the games playing on the television, the constant crack of balls being battered, the endless baseball chatter and the photos that line the walls everywhere you walk. As for what keeps the 71-year-old Casanova going, he says the game is a part of him. "Baseball is in my blood. It's what I do." Saw Paul many times at the old timers games at Bobby Maduro Miami Stadium. Would love to swing by for some hacks in the cage and reminisce. Want to take my friend and his son who plays little league. Any contact info for Paul? I can search online but figured I'd ask. Thanks! Abel - Thanks for writing. The phone number for the academy is in the first photo on this page. MOST UNFORTUNATELY, PAUL CASANOVA DEPARTED THE SCENE ON 12 AUGUST 2017 AT THE AGE OF 75 ... HE WAS ALWAYS FRIENDLY WITH EVERYONE AND WAS A BETTER OVERALL PLAYER THAN HIS MLB STATISTICS SHOW, BEING VERY POPULAR WITH HIS TEAMMATES AS WELL AS THE MANY PITCHERS HE CAUGHT OVER TIME ... APPEARS PAUL HAD QUITE AN ACADEMY AND A DECENT HALL OF FAME GALLERY OF THINGS ON DISPLAY.